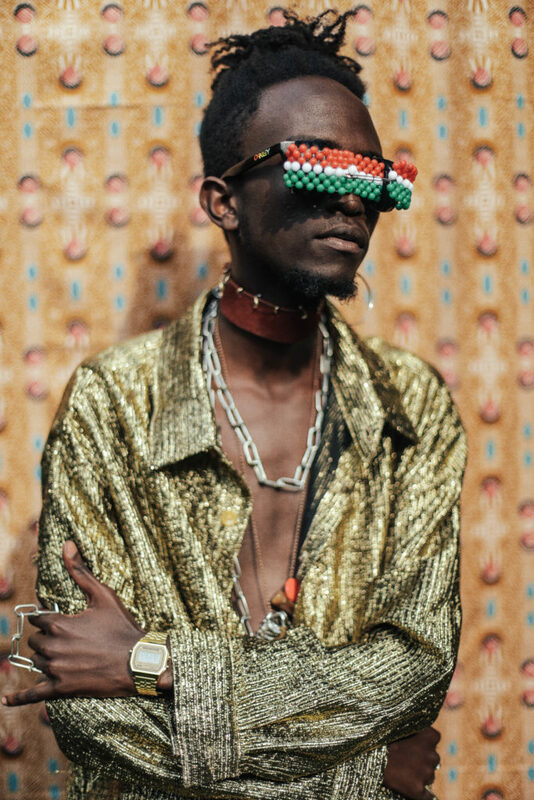 Clinton Malik is a creative, style blogger and fashion model from Kenya with a visionary style that mixes afrofuturism and nostalgia. Since starting “Be your own creation” (BYOC) in May 2015, a brand promoting originality, creativity and self-worth through fashion, travel, art and music, he has built a solid reputation as a community-focused stylist and a big following on social media. 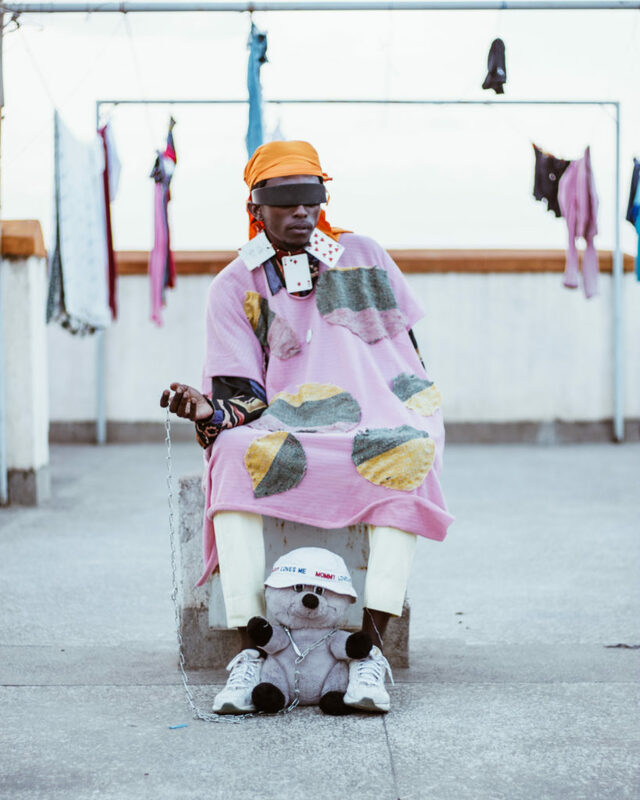 He was featured in Vogue’s 100 street styles and in a recent article on the magazine he is described, along with his friend and creative partner Moh McKenzie, as the face of Nairobi’s exciting street style culture, a movement whose ambassadors include stylists-turned-curators-turned-designers Oliver Asike and Velma Rossa, vlogger Sharon Mundia, photographer Bryan Emry, and model and fashion guru Alexis Nereah. Clint is currently working on documentaries based on different African cultures and their fashion sense. 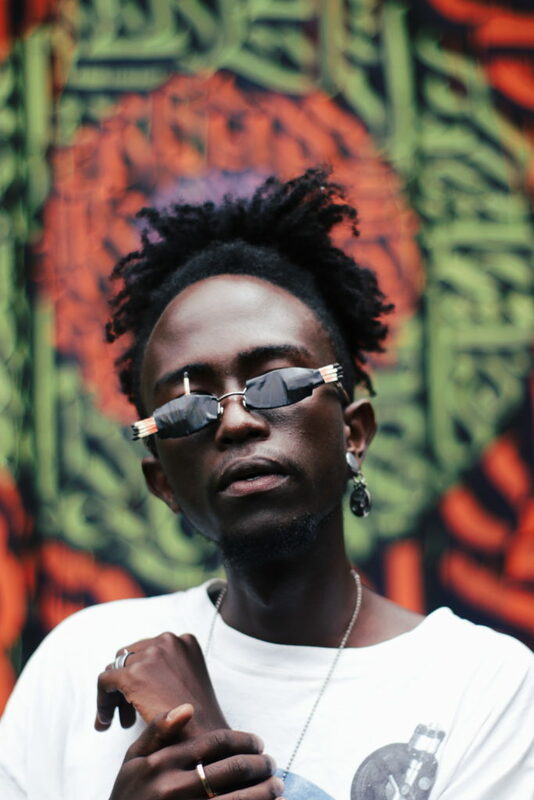 His goal is to inspire masses especially this new generation to embrace African culture and symbolism. What is the story behind “clint_malik” the Instagram account? 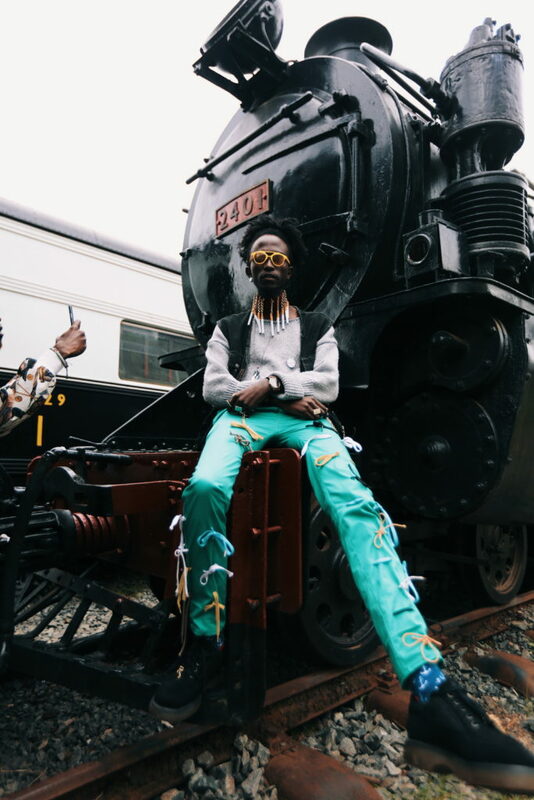 clint_malik was created back in 2013 after I realized I had to show the world what I am made of in terms of fashion and style. The journey started when I was among the founders of a group named ‘Midnight Crew’. We used to dress us to different styles and shoot. We were on the wave till 2014 when we broke up and I decided to go solo. In 2015 I bounced back and created my brand ‘BYOC-Be Your Own Creation’. I promised myself to be original, creative and self-worth to my style. Since then my style has evolved and gained recognition. Am humbled and glad that am creating an inspiration force in the society. Tell us about your aesthetic: what defines it and what inspires you? BYOC: Be your own creation. This phrase is not only my brand name but it’s also my motto. It simply leans on originality and self-worth in fashion and art. So many people in this world fear to express their thoughts and understanding of life situations. Am an artist, I tend to express my thoughts radically without fear of critics. Originality is a key factor in art and fashion. I am a young man in a 3rd world country trying to succeed. Art and fashion inspires my life in general. I am using these two gifts to change my life.’ I want to inspire African youth. Africa is great if we unite and use our gifts in the right way we can prove to the world that we are great. We have a beautiful culture, we should express it make it visible to the world. African culture inspires me. Would you say that your style is distinctly “African” and if it is, what makes it so? My style is African inspired in general. I tend to mix afro-pop style, art and the deep African vibe in my pieces to create a crazy vibe. 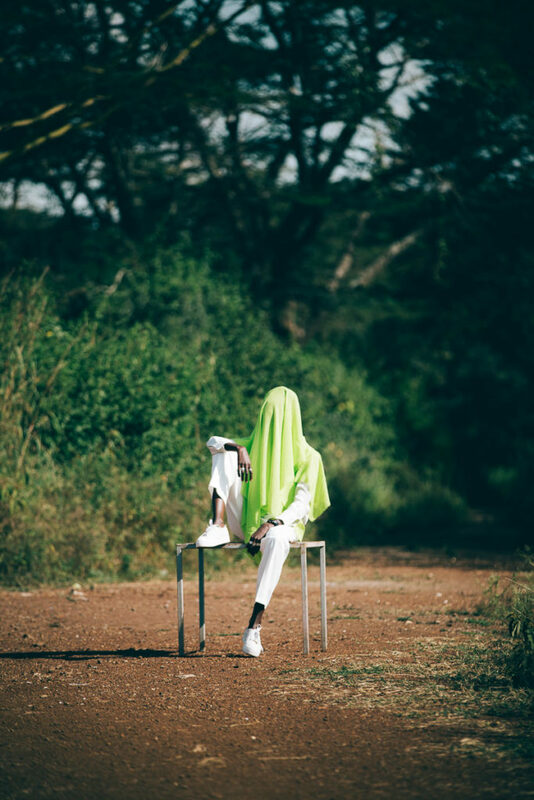 I also love to hashtag my outfits ‘made in Kenya’ because that’s where I was born and raised. I’m excited by your use of found materials. 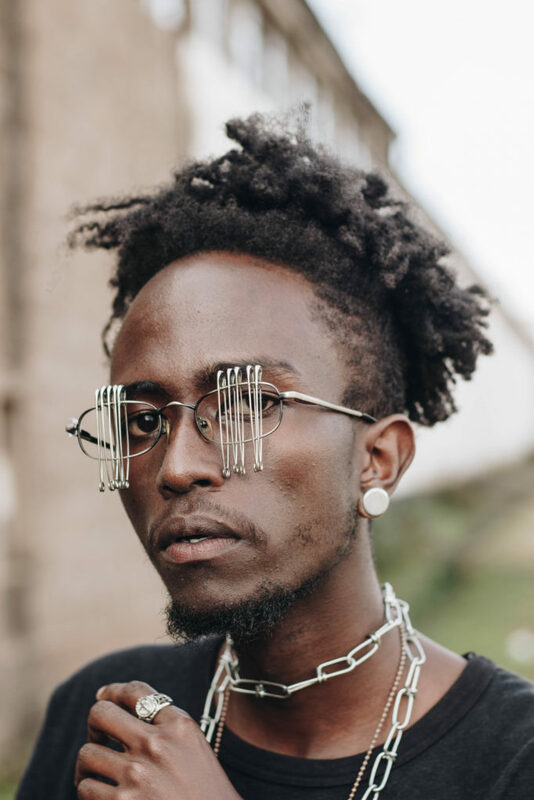 The eyewear in particular reminds me of Cyrus Kabiru’s e-glasses. 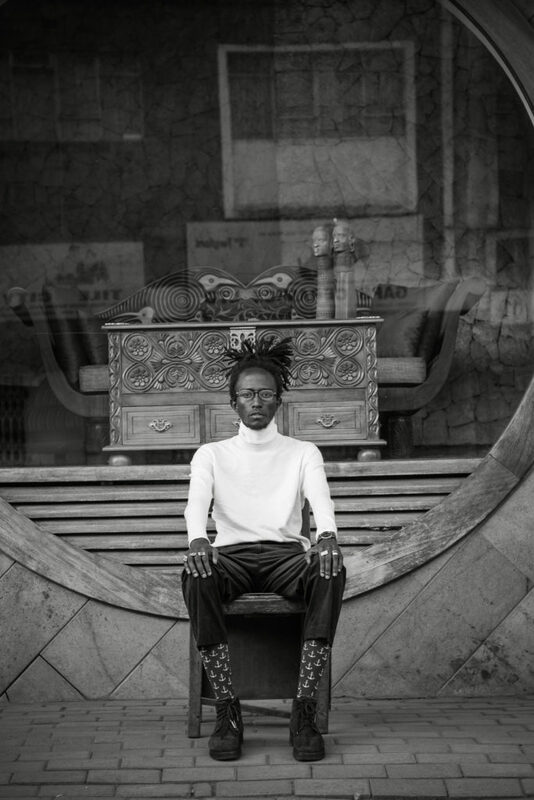 Is that a conscious reference to him, are you too interested in exploring futuristic fashion? 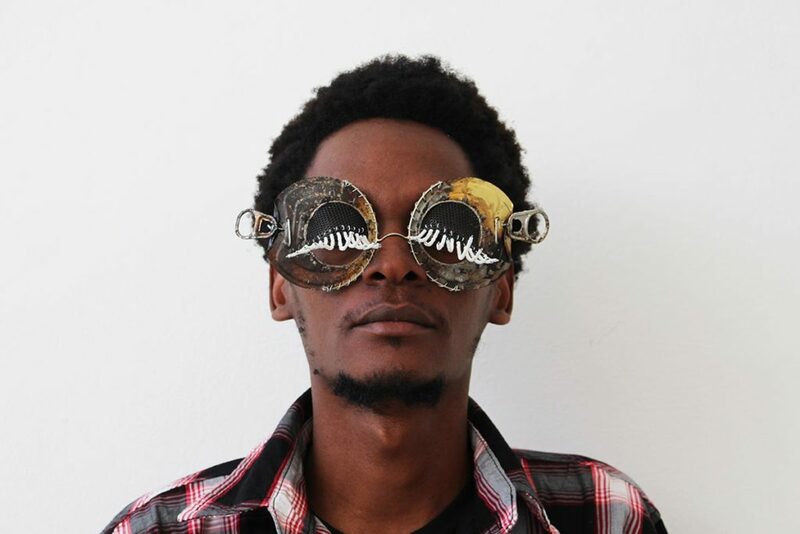 To be honest, I just discovered Cyrus Kabiru’s work recently and it is amazing. I don’t refer to anyone while creating. I love being original in everything I do. I use everything that comes across my mind and reciprocate it to my fashion ideas. I draw my inspiration from anything and anybody as long as it makes my blood rush..haha. Some of my work I have posted can be defined as afro-futuristic. I want to create a more diverse style that can be introduced in theatre studios and films. More generally, what is fashion to you and how do you contribute to the local fashion scene? Fashion to me is my powerful weapon to express my thoughts and to inspire people too. I am glad I got to represent Kenya in the Vogue 100 this year. This is a sign that I am contributing to the Kenyan fashion industry and putting it on the map. I also take part in styling projects in music videos and films, by this I believe I help push our art further. 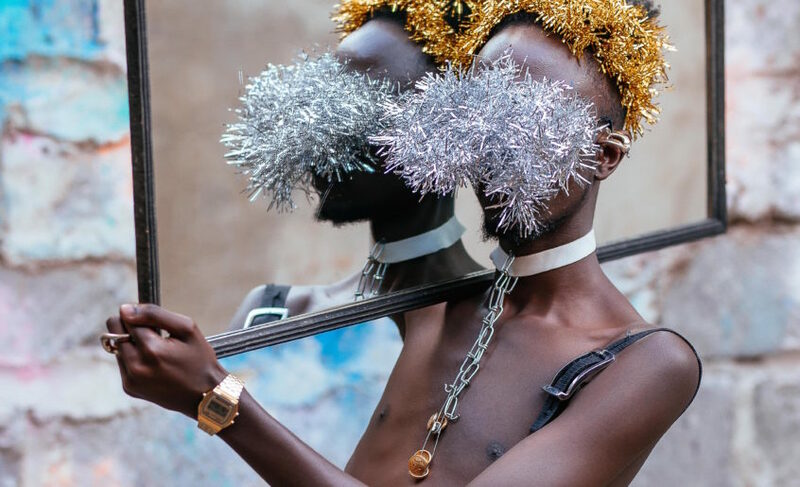 Kenya is going through an exciting phase with lots of designers and creatives garnering international attention. What is the dynamic behind it and what it is like to be part of this new wave of talents? Do you collaborate with other artists? 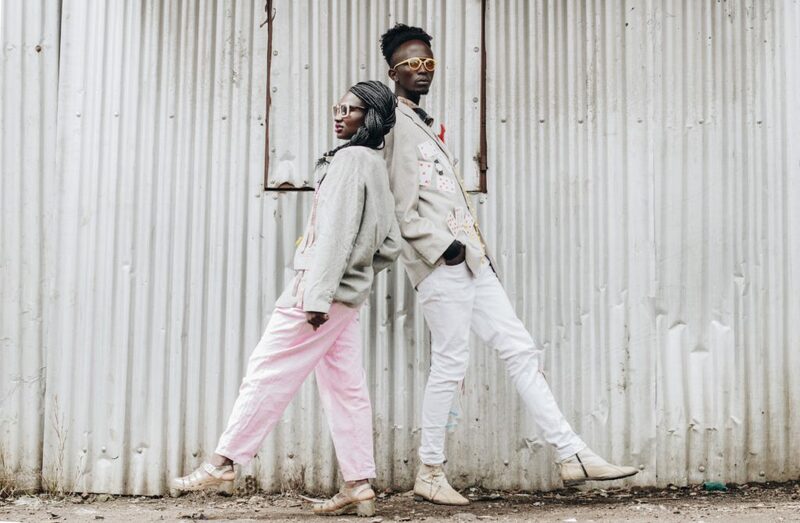 The creative industry in Kenya is growing. So many young people are stepping up and doing incredible stuff that is gaining recognition internationally. This is amazing since we are growing as a country. Our culture is being recognized across the world and this is inspiring. Unlike earlier now everybody can be able to express themselves through social media platforms. I must that there is too much heat in this industry since you have to keep up with the pace but all in all I love being in this new wave of talents since I am able to share and contribute to the society. I love collaborating with different artists in order to exchange ideas and grow. What have you in store for the future? I want to get into theatre art and film. I have also been working on documentaries mainly based on African culture and its complexity in fashion and art. I will be releasing my first collection next year. Part of this collection will be BYOC tees which I will distribute in schools and orphanages. I produce a small scale quantity for a start just to inspire kids and make them look cozy. Later next year I will hold my first pop-up event named ‘The creation 1’.